It has been quite a hectic first half of a year and there is going to be some time off to compensate the crazy working schedule. For this holiday I am doing a bit of travelling so, for the following two or three weeks, there is going to be quiet around here. I am also hoping that this period would offer me the chance to catch up with some of my overdue reviews and interviews and at my return they would take back their rightful place. Until then, please take care of yourselves! Fairy tales, myths and legends are solid foundation stones of my passion for reading. I remember with fondness all those volumes full of magical worlds and stories and I still cherish the memory of one particular heavy tome of fairy tales, equal in size and consistency to the nowadays door-stopping volumes of fantasy novels, that ended up quite battered and frail from so much use. I still love all these stories and I enjoy seeing all of them thriving again, be that in their old form or the new, reinterpreted and reimagined one. With the passing of time the dark side of these stories revealed itself more and more and it brought me new moments of delight. No matter if it is the little details hiding in the shadows or the core and heart of a particular story I like the shiver on the spine they bring along. And when terror tales are told around a camp fire, in the dark of night, the stories can work their magic in the fullest. All right, I never experienced this last situation, it is more the romanticized image implemented by the movie industry, but I quite like the thought of it and I still love to imagine it. But if these terror tales are told around a fire in the woods or witnessed in a warm, cozy armchair at home from the pages of a book their power to mesmerize remains strong. I also like to imagine an entire collection of such tales, one of the size and quality of the Encyclopedia Britannica, which spans over the ages and regions of the world, because there is such a rich vein of folklore, mythology, traditional and urban legends that offers countless possibilities for volumes of terror tales. I admit, a series of the size of the Encyclopedia Britannica might be a bit too ambitious, but I can still dream about it. 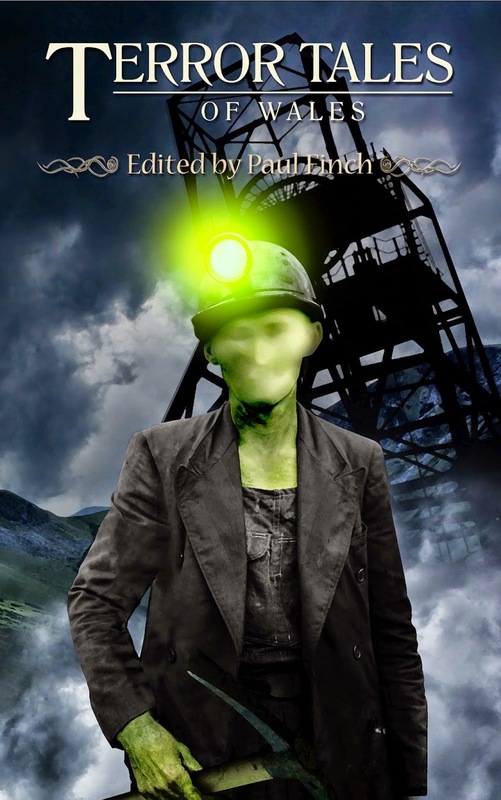 After all, Gray Friar Press has an excellent such project, a running series of anthologies, edited by Paul Finch, devoted to the legends and terror tales of United Kingdom’s various regions. Lake District, the Cotswolds, East Anglia, the Seaside and London each brought to the readers, in their respective volumes, frightful legends such as the demented clown of Muncaster, the demon dancers of Warwick, the killer hounds of Southery, the haunted sewer of Bermondsey or the death ships of Goodwin together with new, chilling tales by Carole Jonhstone, Alison Littlewood, Anna Taborska, Thana Niveau, Gary McMahon, Simon Bestwick, Adam Nevill, Stephen Volk, Gary Fry, Joel Lane or Christopher Fowler. All these five volumes of terror tales synthesize legends, alleged true horror stories and terrifying fiction with excellent results, five anthologies that have a special place on my bookshelves. And soon they will be joined by a sixth, Gray Friar Press and Paul Finch are preparing to release “Terror Tales of Wales”, by the looks of it with the same accomplished outcome, I expect as much from the headless specter of Kidwelly, the soul stealer of Portcawl, the dark serpent of Bodalog, the Christmas slaughter of Llanfabon or the short stories of my personal favorites Thana Niveau, Priya Sharma, Tim Lebbon, Ray Cluley, Gary Fry and Stephen Volk. With such a promising companion for the other five collections of stories I keep dreaming of more volumes of terror tales from various regions of United Kingdom, Europe and the entire world. And many more chilling tales by Stephen Volk, Tim Lebbon, Simon Clark, Priya Sharma, John Llewellyn Probert and other award-winning masters and mistresses of the macabre. I like the awards that, through their yearly lists of nominees, challenge my reading habits and bring into my attention books that otherwise I am unaware of or for one reason or another I pass them by with feeble consideration. I believe that is the reason for the Shirley Jackson Awards being my favorites and that is the reason for the Mythopoeic Awards gaining more and more my attention. I am aware that the Mythopoeic Awards run since 1971, but only recently I’ve started to regard the lists of nominees more closely and I discovered some very interesting shortlists there, as is the case with this year’s list of finalists. The winners of the 2014 Mythopoeic Awards will be announced during Mythcon 45, held between August 8th and 11th at Wheaton College, Norton, Massachusetts. The Mythopoeic Fantasy Award for Adult Literature is given to the fantasy novel, multi-volume, or single-author story collection for adults published during 2013 that best exemplifies the spirit of the Inklings. Books are eligible for two years after publication if not selected as a finalist during the first year of eligibility. Books from a series are eligible if they stand on their own; otherwise, the series becomes eligible the year its final volume appears. The Mythopoeic Fantasy Award for Children’s Literature honors books for younger readers (from Young Adults to picture books for beginning readers), in the tradition of The Hobbit or The Chronicles of Narnia. 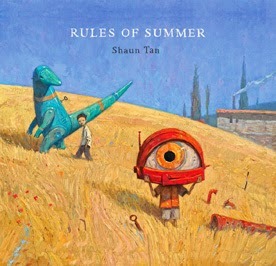 Rules for eligibility are otherwise the same as for the Adult Literature award. The question of which award a borderline book is best suited for will be decided by consensus of the committees. The Mythopoeic Scholarship Award in Inklings Studies is given to books on Tolkien, Lewis, and/or Williams that make significant contributions to Inklings scholarship. For this award, books first published during the last three years (2011–2013) are eligible, including finalists for previous years. The Mythopoeic Scholarship Award in Myth and Fantasy Studies is given to scholarly books on other specific authors in the Inklings tradition, or to more general works on the genres of myth and fantasy. The period of eligibility is three years, as for the Inklings Studies award. The winners of this year’s awards will be announced during Mythcon 45, to be held from August 8-11, 2014, at Wheaton College, Norton, Massachusetts. A complete list of Mythopoeic Award winners is available on the Awards page. 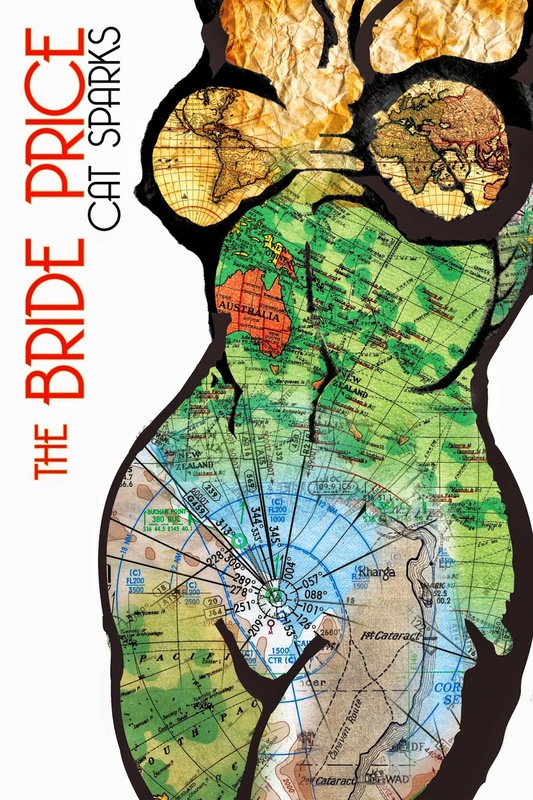 I’ve talked this week about my desire to see more post-apocalyptic fiction set across the world and I mentioned Silvia Moreno-Garcia’s upcoming anthology, “Fractured”, as such an example. Alberta, Manitoba, Quebec, British Columbia, Ontario, Saskatchewan or the Yukon are some of Canada’s provinces reflected in the post-apocalyptic visions projected within the 23 tales of “Fractured” and although, as I’ve already said when the table of contents was revealed, not many familiar writers have stories in this anthology the presence of A.C. 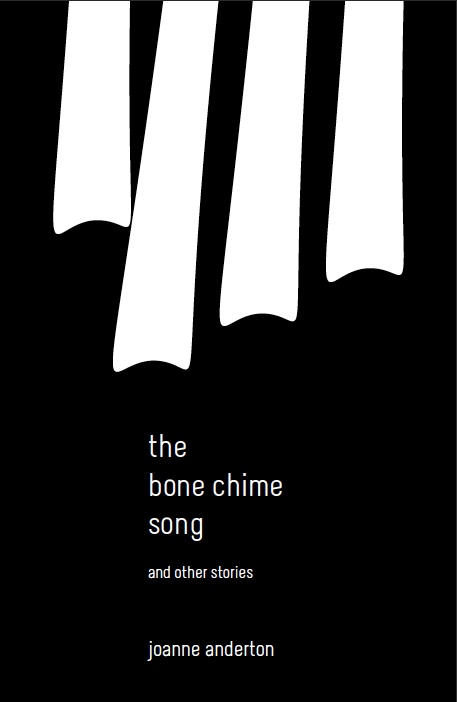 Wise, E. Catherine Tobler and Claude Lalumière on the list of authors, the guidance of Silvia Moreno-Garcia in the stories’ selection and the locations are enough points of interest for me when it comes to this collection. 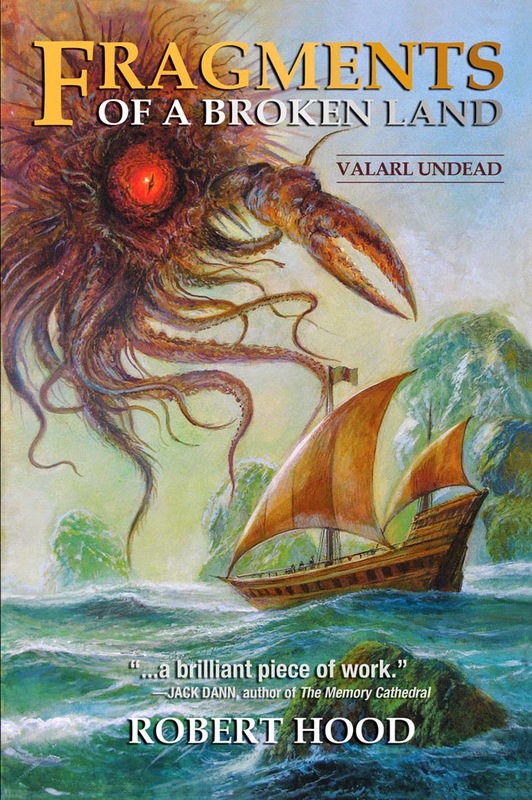 As it is the cover we can look upon now. I am not sure exactly why I associate so easily a gas mask with apocalyptic events, but I guess the threat of a pandemic, biological catastrophe, nuclear warfare or extreme rise in pollution and the flimsy protection we have in face of such devastating disasters can create such a connection. So I believe the cover of “Fractured” works perfectly in suggesting its theme of post-apocalyptic fiction. Or at least it works perfectly for me. It might be because of the circuits my mind runs between image and personal imagination, but that is also the reason for which I would have liked for the cover to have a more desolated background, a landscape as an additional element to suggest in the fullest the post-apocalyptic theme. And perhaps I wouldn’t have added the production waste tower billowing smoke from the background, at a first glance it seems to work, after all pollution and gas mask are not a mismatched pair, but the dimension of that particular tower suggests industrial usage and I think that such a scale of production in a post-apocalyptic world might be a bit farfetched. 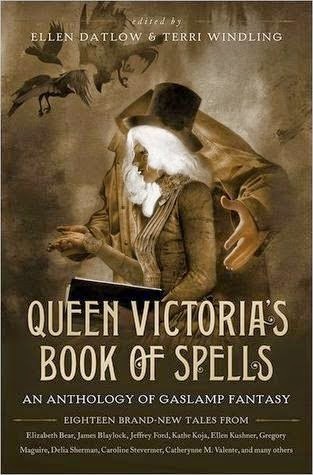 Nonetheless, I have a general good feeling about this cover and I quite like it, as I like the promise of this anthology. Silvia Moreno-Garcia’s anthology “Fractured. 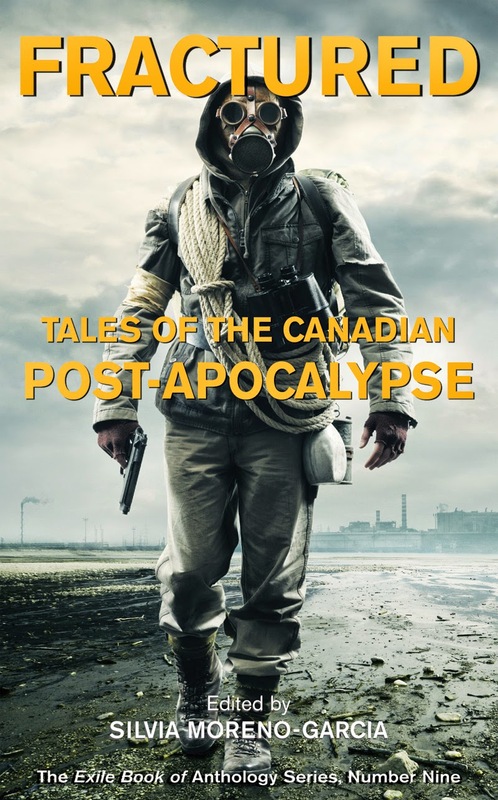 Tales of the Canadian Post-Apocalypse” will be released on August by Exile Editions. We like to imagine the end. How we might survive. How we might live after the fateful moment that changes everything. That moment has arrived—welcome to Canada, after the apocalypse! Fractured is a collection of stories by more than 20 writers who imagine life after the end of days. The waters have risen around Vancouver, nuclear disasters have devastated the Prairies, a strange sickness has relocated the capital of the nation to Yellowknife, aliens have invaded Manitoba, and even ghosts have returned to exterminate the living. Across this vast nation, a country fractured and rent asunder by disasters both natural and unnatural, come the stories of survivors, of the brave and the wicked, the kind and the hostile. 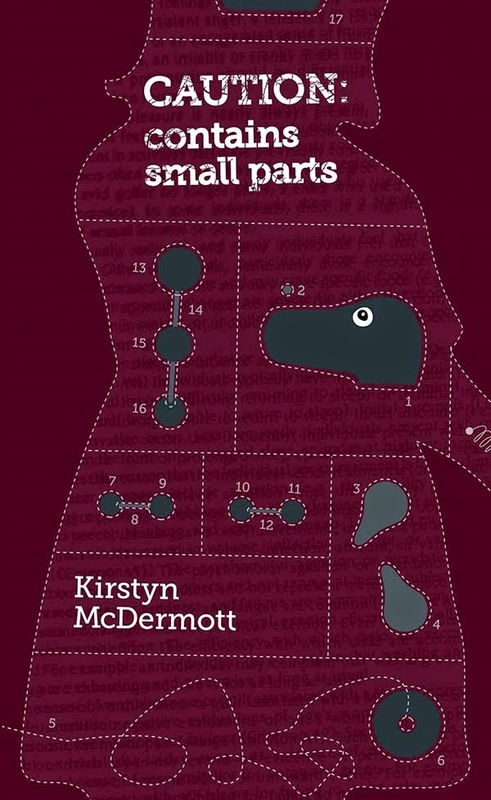 These are tales that reveal the secrets at this critical point for humanity, exploring a diversity of scenarios and settings from small rural communities to large cities and protagonists from all walks of life. I love post-apocalyptic fiction with passion and I am trying to devour almost everything this genre throws my way. However, that doesn’t prevent me from finding the subject a bit limited sometimes, not necessarily because of the execution or imagination of the writers, but rather because of the fewer areas where such scenarios take place. It is natural, on the English publishing market, for United States and United Kingdom, occasionally Australia (the main reason for my love for the genre), to be main settings for visions of apocalyptic futures, but wouldn’t be nice to see other regions of the world featured on more stories? After all, in the unfortunate case of an apocalyptic event that brings to an end the world as we know it, the entire Earth is affected and not only certain areas. Wouldn’t be interesting to see such stories taking places in Nicaragua, Romania, Gambia or Mongolia, for example, with the particularities and characteristics of each different location playing a role? I do have hope though that, sooner rather than later, my wish will be granted. After all, I did see some encouraging signs in the recent years, “Grants Pass”, an anthology edited by Jennifer Brozek and Amanda Pillar, takes the readers throughout the world, while Silvia Moreno-Garcia’s anthology “Fractured”, due to be released on August, brings us tales of the Canadian post-apocalypse. 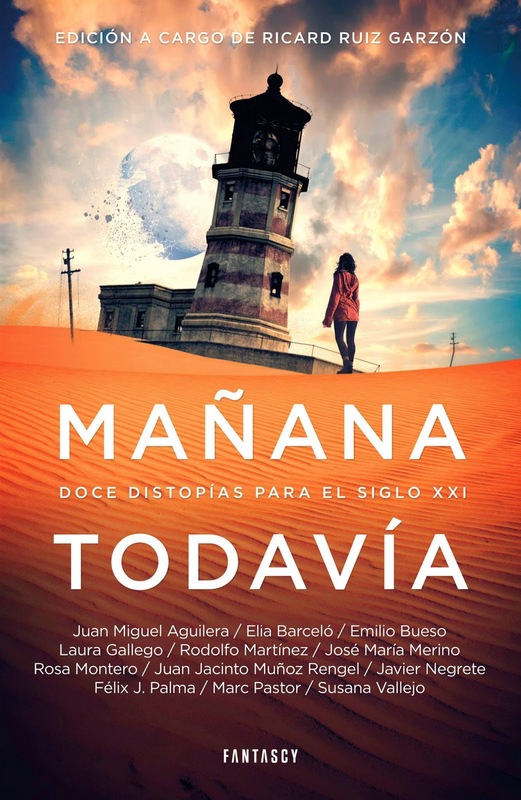 Another such point of attraction for me is an anthology edited by Ricard Ruiz Garzón, “Mañana todavía” (Still Tomorrow), published this month in Spain by Fantascy and for which I am keeping my fingers crossed to see it translated into English as well. Some of premises mentioned in the synopsis of this collection might seem familiar, but I am certain that the stories, settings and writers will compensate in the fullest the recognizable aspects. And how can I not be optimistic when the table of contents stars some heavy names of modern Spanish genre literature. Laura Gallego is a prolific author of young adult literature with successes such as “The Idhún’s Memories” or “The Legend of the Wandering King”, Elia Barceló, one of the most important figures of Spanish science fiction, with translated works such as “Heart of Tango” and “The Goldsmith’s Secret”, Rosa Montero, important author of contemporary fiction, with translated works such as “Beautiful and Dark” and “Tears in Rain”, Susana Vallejo, award winning author of the “Porta Coeli” series or “El espíritu del último verano”, Félix J. Palma, familiar to the English readers for “The Map of Time” and “The Map of the Sky”, Marc Pastor who published “Barcelona Shadows” in English this year, José María Merino, multiple award winning writer of novels, short stories and poetry, Rodolfo Martínez, prolific author of science fiction, with “The Queen’s Adept” available in English, Juan Jacinto Muñoz Rengel, considered one of the greatest Spanish short story writers of his generation, Javier Negrete, award winning writer of fantasy and historical fiction, Juan Miguel Aguilera, renowned for his collaborative with Javier Redal that brought to life the Akasa-Puspa universe and Emilio Bueso, multiple award winning writer, one of the most promising voices of Spanish genre fiction. 12 important Spanish writers who present their dark, bleak vision of the world’s future, in Spanish for the moment, but like I’ve already said, let’s hope that “Mañana todavía” (Still Tomorrow) would be available someday in English as well. Twelve prominent Spanish writers face to face with a fashionable genre subject: the dystopias or anti-utopias. Like the classics of the genre (“1984” by George Orwell, “Brave New World” by Aldous Huxley, “Fahrenheit 451” by Ray Bradbury) and like the recent published titles (above all “The Hunger Games” by Suzanne Collins), “Mañana todavía” features twelve stories that are as many ways of literary imagining what could possible go wrong in our future: the dependency of mobile phones and internet, the dangers of social networks, the natural disasters, the problem of natural resources, the radical political visions or the risks of scientific progress in the matters of reproduction, genetics and health are only some of the major themes of this collection, related by prestigious authors from within and outside the genre. I’ve barely finished talking about Marc Simonetti’s art book, “Coverama”, dedicated mainly to his amazing book covers, that another of Marc’s gorgeous pieces of art complementing a book surfaced. 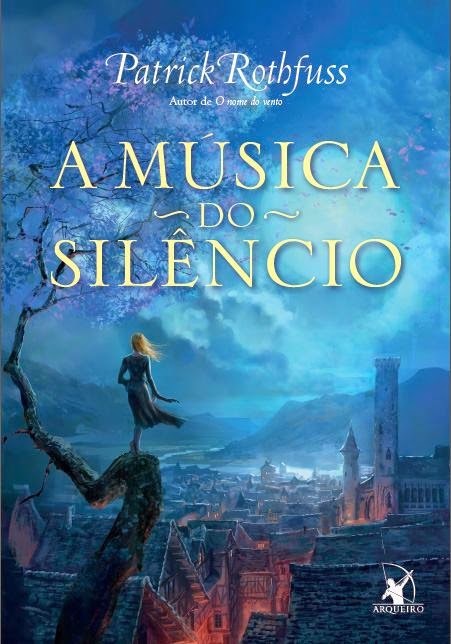 And since Marc Simonetti already did some excellent covers for Patrick Rothfuss’ “The Name of the Wind” and “The Wise Man’s Fear” it is the turn of his upcoming novella, “The Slow Regard of Silent Things”, to suffer the same treatment, at least on the Brazilian edition of Patrick Rothfuss’ novella. Editora Arqueiro, the Brazilian publisher, used Marc Simonetti’s covers for their editions of “The Name of the Wind” and “The Wise Man’s Fear” and followed the line with “The Slow Regard of Silent Things” too, as we can see, in the most delightful of ways. 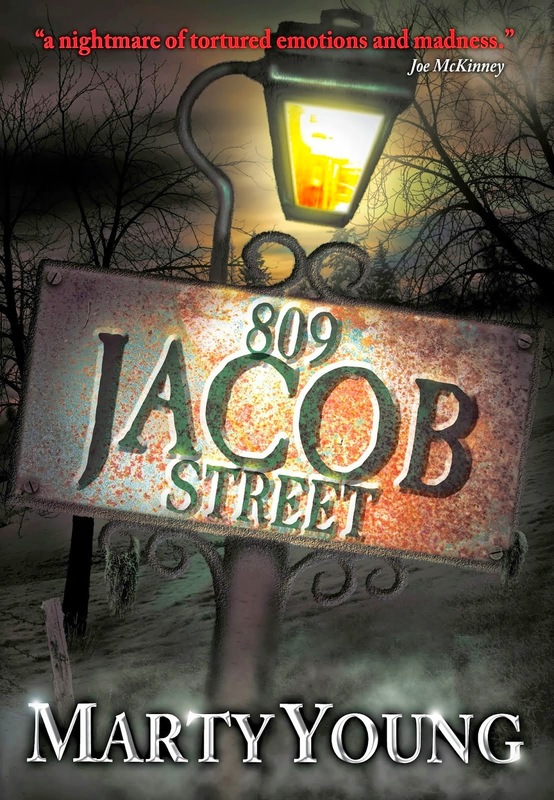 I have to say that I find Marc Simonetti’s artwork far more attractive than the US cover of the same novella. Although nowadays, with the easy access to information facilitated by the internet, it is more likely to form an opinion about a book cover long before I could see it in a bookshop, I try to consider what would happen with certain books if I see them lined on the bookshelves of a shop. In this instance, and not only, Marc Simonetti does wonders, I would be extremely tempted to pick the book from the shelves because of such a cover. It holds that particular magic of telling a story from one single image, the attractive wink that would make me wish to learn more about the book in question. Which I cannot say the same for the US book cover, as much as it seems to match the synopsis, I am afraid I find it rather bland. It remains to be seen what Gollancz’s choice for the cover of Patrick Rothfuss’ “The Slow Regard of Silent Things” would be, but I must admit that I am keeping my fingers crossed to see Marc Simonetti’s extraordinary artwork on that edition as well. The past week-end, in a ceremony held during Continuum X, the 53rd Australian National Science Fiction Convention, at the InterContinental Melbourne the Rialto, Melbourne, the winners of the 2014 Ditmar Awards have been announced.